We return to music for this “Wildcard Wednesday” show. Taking inspiration from our friend and fellow old-school podcaster Brian Ibbott over at “Coverville” (included in our “top podcasts” show), we share five of our favorite cover songs. These great takes on favorite songs by other favorite performers are just the tip of the iceberg, of course, and we’ll probably feature more great covers on a future music show. We’d love to hear about your favorite cover songs! Your music shows are always my favorites on Popspotting. The covers show is no exception.. and yes limiting yourself or anyone else to just 5 cover songs is next to impossible. Seems like cover songs have been with us from almost the time music started. The Beatles covered several artists and they themselves are probably the most covered artist of all time. My favorite song by someone else that The Beatles covered has to be “Act Naturally”. The song was a #1 hit for country & western singer Buck Owens and the Buckaroos in 1963. This cover is a GREAT country music track with lead vocals by Ringo Starr. The track was issued on a 45 as the B-side to the single “Yesterday” in 1965 where it is sometimes listed as a double sided #1 hit for The Beatles. It also appears on the “Help!” album. One of my favorite Beatles cover songs is “Lucy in the Sky With Diamonds” by Elton John. This version went to #1 on the Billboard Hot 100 in late 1974 and may be somewhat more popular than the original that only appeared on The Beatles own “Sgt. Peppers’ Lonely Hearts Club Band” album in 1967 but never issued as a single. You could do an entire show of Beatles covers. That would be interesting. The list is endless! My final cover for now is “Blockbuster” by Material Issue. This band is well known for their power pop hit “Valerie Loves Me” which came out in 1991. They were one of my favorite bands of the 1990s and issued several singles and albums focusing on the girls who were out of reach or got away. Jim Ellison was the brilliant lead singer, song writer and guitarist of the group. He probably got a lot of inspiration from British rock bands from the 1960s and 1970s. Covering The Sweet’s 1973 hit “Blockbuster” is not surprising. They pay homage to this glam rock gem with more energy than of the the original. This is my favorite cover by Material Issue. They also covered The Sweet’s top 10 hit “Little Willy”, The Hollies 1966 hit “Bus Stop”, Grand Funk Railroad’s 1975 single “Bad Time” and the old Banana Splits TV show theme song, “Tra La La”. Sadly Material Issue’s tenure as a power pop band came to an end with the tragic death of Jim Ellison in 1996. For me, the definitive cover of “Wild Horses” is not the Sundays version, but Susan Boyles’…her interpretation of the song really (soft) rocks! oops, my bad. 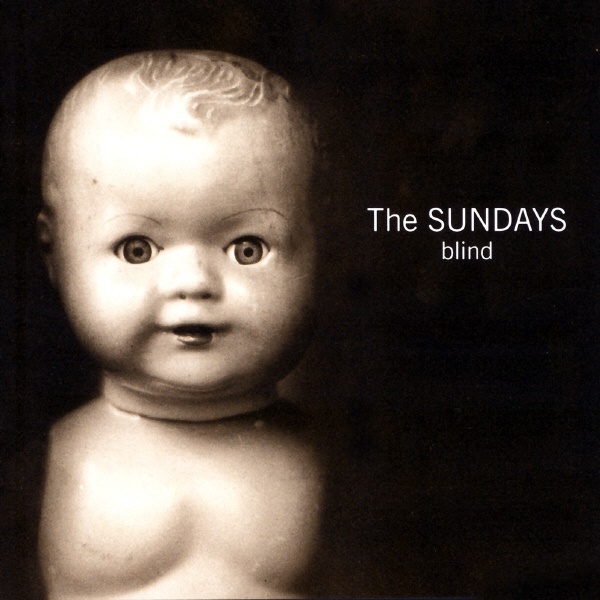 When I heard “covers” and saw the artwork for the Sundays, my mind went visual and thought you meant artwork on the covers of CDs. I was expecting to see pictures in this post along with podcasted audio commentary. But yes, I like the Sundays cover (and cover). And would violinist Vanessa Mae’s music be considered a cover? First of all, thank you so much for introducing me to the Coverville podcast. There’s a Depeche Mode tribute album called “For the Masses” that actually turned my opinion around about Depeche Mode. Meat Beat Manifesto’s take on “Everything Counts” and Hooverphonic’s version of “Shake the Disease” might actually be better than the originals. One of my favorite albums from last year was Reneé Fleming’s “Dark Hope”. Fleming is an opera singer, but she manages to curb that classical training on this album, which consists mostly of indie rock covers. I think I’ve listened to her version of “Intervention” more than the Arcade Fire’s original. The backing music on “Dark Hope” isn’t really compelling, but Fleming’s voice is really the draw. Frente’s cover of “Bizarre Love Triangle” has always struck me as too twee. I think that acoustic arrangement might have worked really well with a singer with a huskier voice. I’m no fan of anything Sarah McLachlan did after her debut album, but I’ll give credit to her version of “Dear God” for sounding pretty apocalyptic. One Japanese artist who does great covers is ACO. She brought out the symphonic aspects of Radiohead’s “Creep” and managed to put a beat on Kate Bush’s “This Woman’s Work” without making it sound awkward. She’s also savvy enough to cover “I Know What Boys Like” by the Waitresses. These are the ones that typically end up in my playlists, along with the Dolly Parton cover of `Stairway’ already mentioned. Nouvelle Vague has a ton of brilliant covers – I also quite like their version of `Blue Monday’ and `I Melt With You’. You can also find bluegrass covers of just about anything. I haven’t found one that I liked yet, though. Thanks for the show – I’ve been a fan since The Transmission, and I look forward to your reviews, especially the Wildcard Wednesdays.